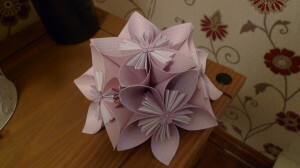 Meet the Boulds who make Kusudama flowers from origami paper and have been using double sided tape to keep them together but not too successfully. 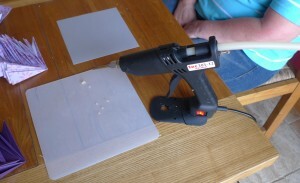 They saw an advert for a glue gun + glue sticks that could glue anything and thought they would give it a try. 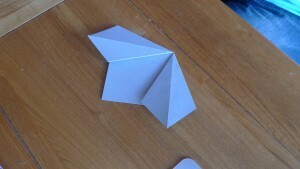 They applied for one of the free guns and glue sticks and were successful. It arrived the next day and they couldn’t wait to open it and put it through its paces. 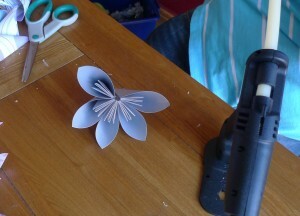 Below are a few words and photos of how the flowers are made and the use of the glue gun which is a TEC 305. 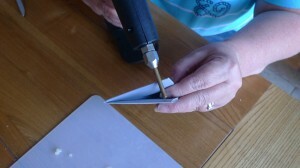 The picture above is showing the first petal being glued together using flexible glue stick. 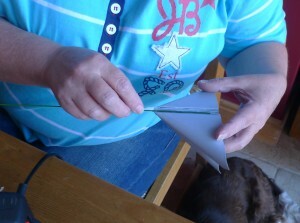 A further 4 more petals are made and glued using the same procedure. 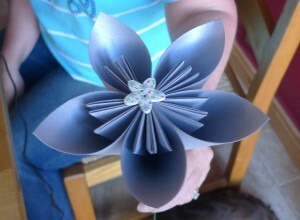 And what is a flower without a bouquet………. 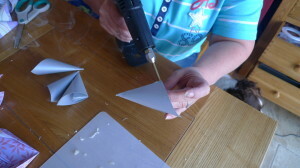 It’s hard to image being a crafter without a Tec 305 glue gun – what can we GLUE for you ?